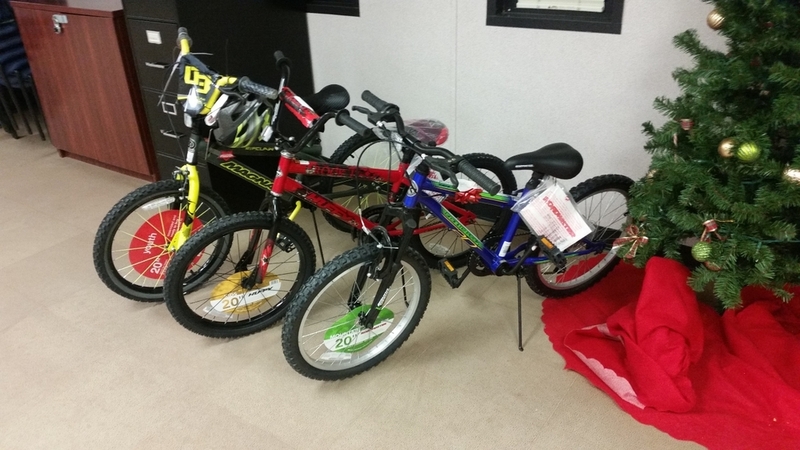 Fallen Agents Fund conducts a Christmas Present drive every year for the children of fallen Border Patrol Agents. Trees are set out at participating Border Patrol Station and Sector and the Agents give presents to be delivered the the children before Christmas time. As an integral part of our charity, every year the Fallen Agents Fund Christmas present drive brings cheer and hope to those who may be experiencing grief from the loss of their loved Agents. During the beginning of the Holiday season, Christmas trees are placed at selected Border Patrol Sectors and Stations. Each tree has tags with the names of children of fallen Border Patrol Agents. Agents are encouraged to take a tag and purchase gifts for the children. 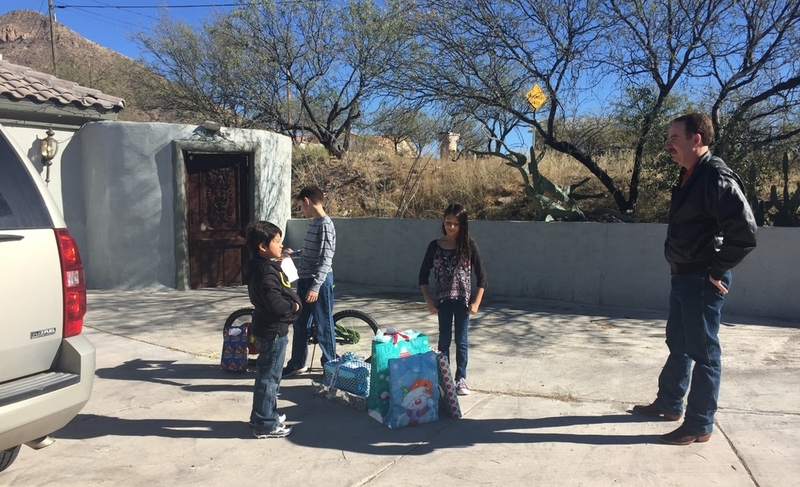 Last Christmas, the Fallen Agents Fund staff collected two hundred fifty-two presents that were distrisbuted to seventy-two children of fallen Border Patrol Agents. We would like to thank all the Border Patrol Agents who gave last year, whether it be in presents, time or money. We look forward to next year's drive. The process starts here where the Agents give gifts by placing them under the tree. All 192 present wrapped and ready to be delivered. Tucson Agents hand delivering the Christmas presents. Tucson Agents opening presents with the kids. Some Agents even bought bikes for the children.